If you think a waterproof remote control is a good idea, then you’re either clumsy, have kids, or you own a pool and around the pool there’s at least one TV and when people come over, they’re like “Holy smokes, you have an outdoor TV? By your pool, no less?! 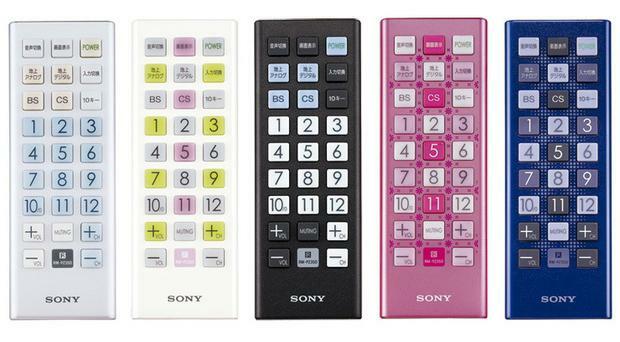 !” Oh, and you should probably live in Japan because that’s where these waterproof universal remotes from Sony will be available at first. They’ll cost around thirty bucks when they hit the market next month. And who knows, maybe they’ll be available here in the US some day. Americans have pools and TVs! Plus, those big buttons might do well with some of our drooling senior citizens, God bless ’em all.